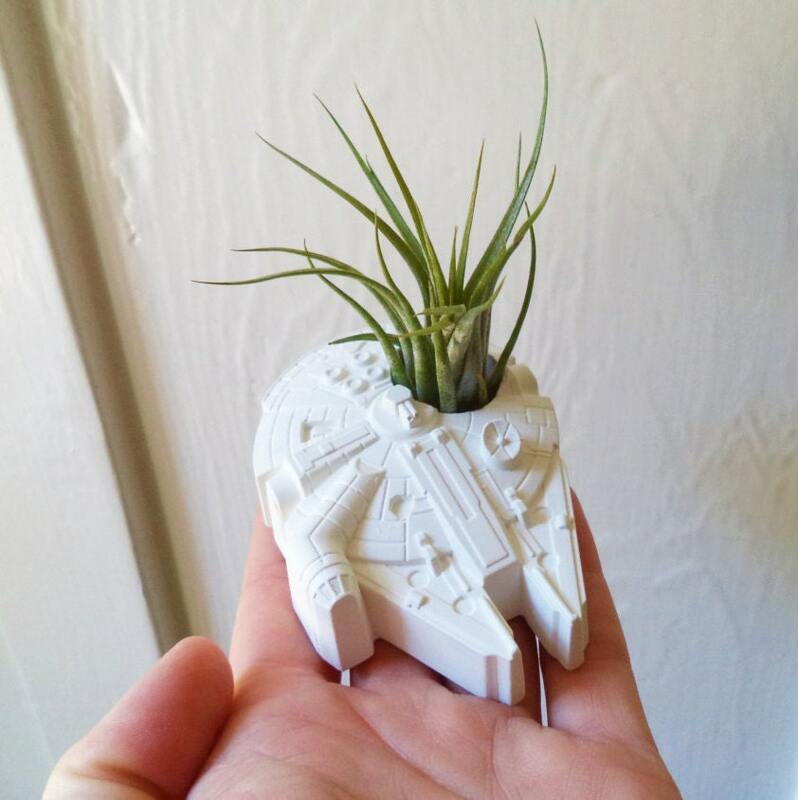 This is my small Millennium Falcon air plant holder! 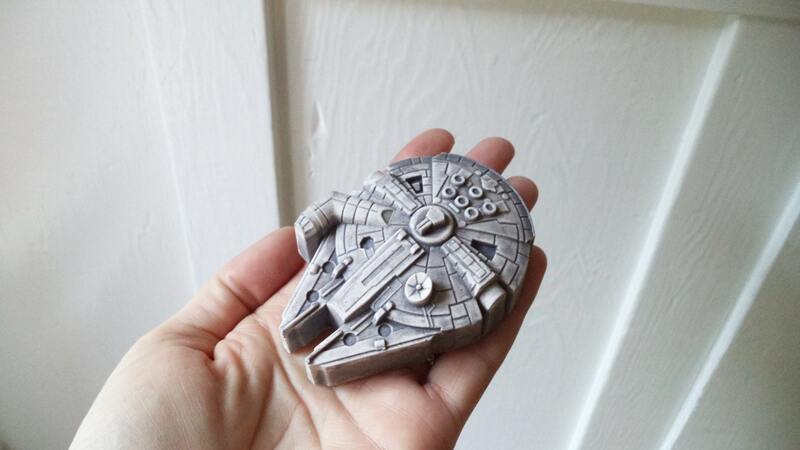 See my shop for a larger Millennium Falcon!! Also a wall hanging version! Also see my POP culture section for more fun stuff! 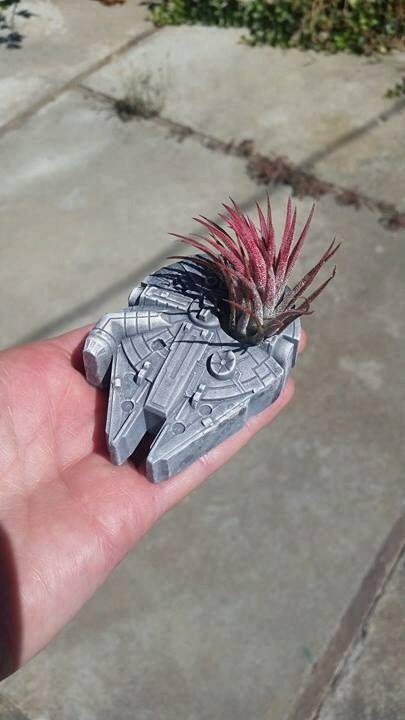 ** plant may be of a different variety than the one shown. Love it so much!! It’s exactly as shown & it came a lot sooner than the estimated delivery. They also included an air plant anyway with a sweet note even though I ordered it without and I thought that was so nice! Although I won’t use it for this holder I got since it won’t be by sunlight, I have a happy home for it at my office by the window. Exactly what I wanted! Love the level of detail that shows on these pieces. The planter was well padded and arrived in one piece. Kimberly shipped my order super quickly and was really accommodating. 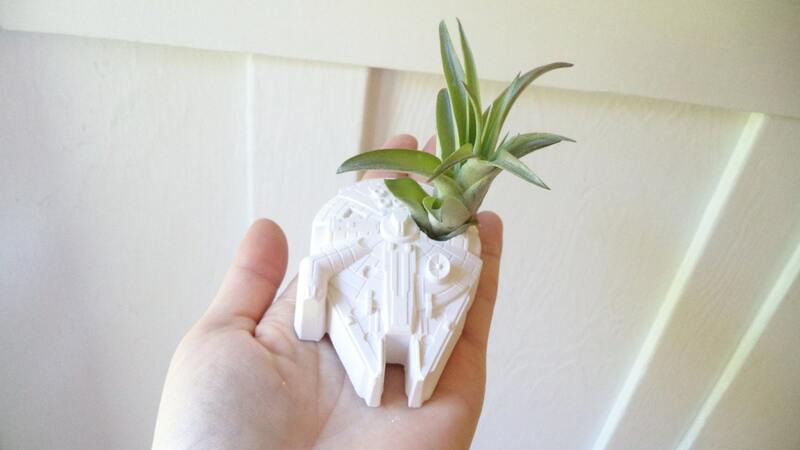 Very cute planter and clear instructions for included plant care. Perfect for my small office space; it gets tons of compliments.